Here at Prestige Training, equestrians have full access to everything they need to achieve their goals as a rider. 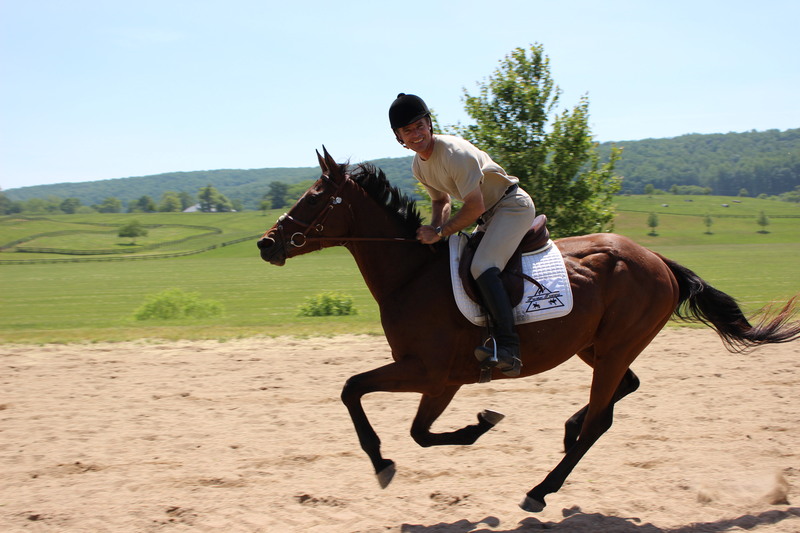 Jim Moore, founder and trainer of Prestige Training, a long-listed rider for the United States Equestrian Team, and highly awarded and experienced competitor in hundreds of national and international equestrian competitions, is highly qualified to coach all levels of horse and rider. Whatever your experience level, whatever skill your horse possess, whatever your goals, whatever your discipline, Prestige Training is dedicated to providing expertise and service of the highest quality. Everything we do from top to bottom is top-of-the-line to ensure you maximize your & your horse’s potential. 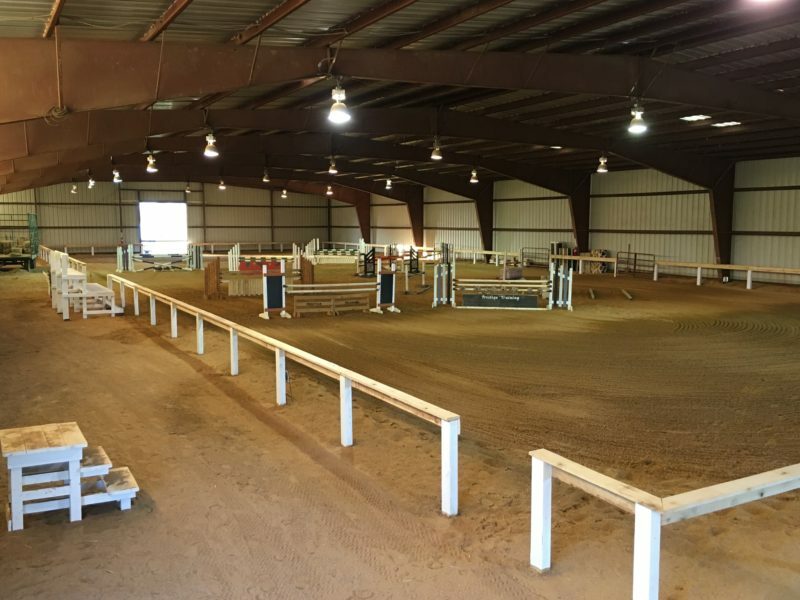 Prestige Training is based out of Richmark Farms, a state-of-the art facility, complete with a huge indoor arena, and beautiful, spacious stalls. We offer boarding, training, lessons, leasing, facility use, summer camps, and much more! Thank you for visiting, and don’t hesitate to contact us with any questions or comments you may have! Jim has always been almost like a father figure to me. He's been there through it all. He's practically been there my whole life it feels like! When I met him in 6th grade(2009) I had been riding for about 5 years. I just played around and never got too serious. I jumped here and there, but it wasn't anything big. However I always struggled with having way too much energy. I was never nervous. I just had a hard time letting out all of my adrenaline. One summer I decided to do a camp with him and he took me cross-country. I was saved. After that day I knew I found my fix. With vigorous coaching and lessons where I thought my legs were going to fall off; it all ended up paying off. But Jim taught me one of the biggest lessons of my life. Riding isn't about the winning. Not the ribbons. Not the trophies. Not the points. 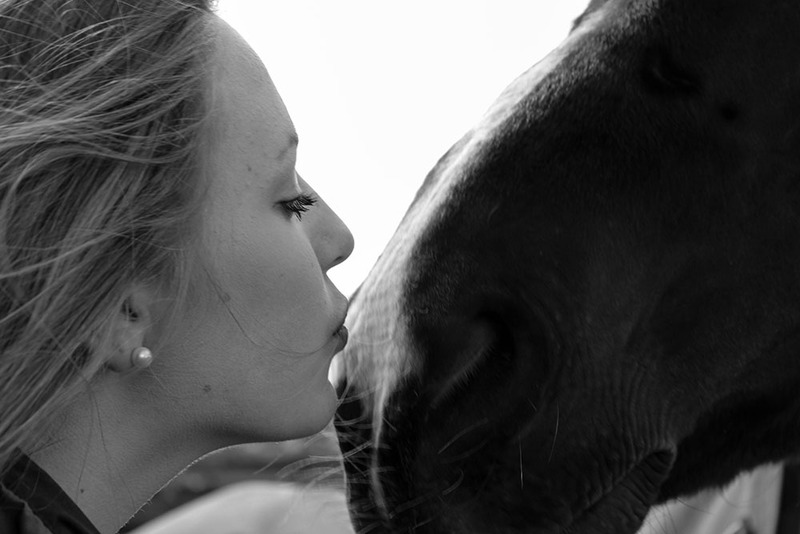 It's about bonding with your horse. Becoming one. And I teach that to my students today. All and all... If you ride with Jim, you aren't just one of his students. He treats you like his own. And even after 7 years, he still teaches me new things every time I see him! Prestige Training has been a beyond wonderful experience for me, and I'm so glad I got to be part of such an amazing organization. I came into my first lesson knowing absolutely nothing. Jim really took the time to teach me not only how to ride correctly and take care of a horse, but the reasoning behind every little thing. 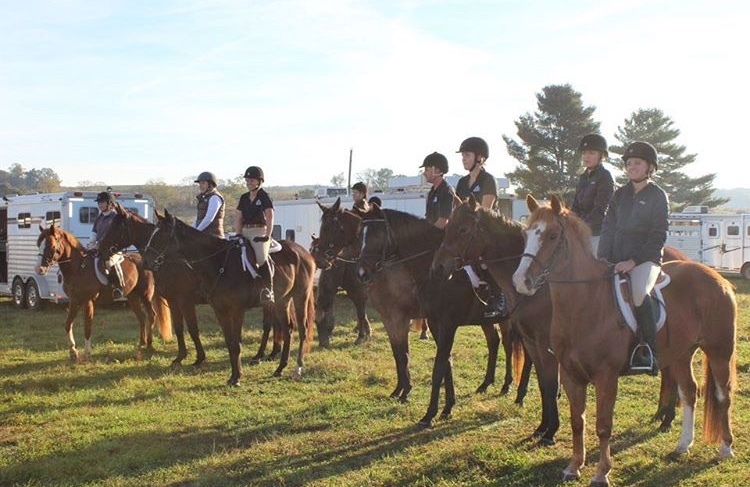 In a little over a year, I have gone from learning how to walk to jumping and competing on the American Interscholastic Riding Competition team. Everybody at Prestige welcomed me and didn't care that I was starting from square one, because they genuinely wanted to teach me. Jim challenged me with each and every lesson by, as he says, "throwing me in the deep end." I really appreciated that and truly believe thats why I have come so far in such a short time span. Thank you so much for everything! I was nine when I first met Jim, and even though I'd been taking weekly lessons for a few years, I was still a weak rider with limited knowledge on horses. When he taught his first summer camp at Kelly's Ford, I knew he was different than any other trainer I'd worked with because of his incredible expertise and way of teaching!! Jim taught me everything there was to know about being an equestrian in and out of the saddle, and pushed me into being the best rider I could possibly be. He challenged me to work with difficult horses, put in countless hours around the barn, and inspired me to join the world of eventing. Over the past eight years as my trainer, Jim has been there for me through all life's ups and downs, both as a coach and as a friend. Some of the best experiences and opportunities of my life have been a result of my involvement with Prestige Training. Jim always goes above and beyond to reach the potential of every single horse and rider he works with and his endless support and dedication to true horsemanship. I owe so much to Jim for coaching me, inspiring me, and turning me into the rider I am today! 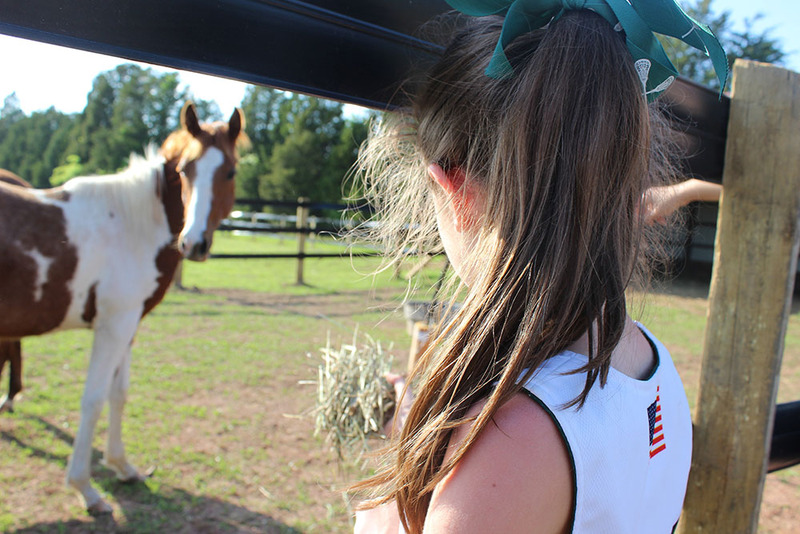 We first took our teenage daughter to a riding clinic that Jim was teaching a few years ago. 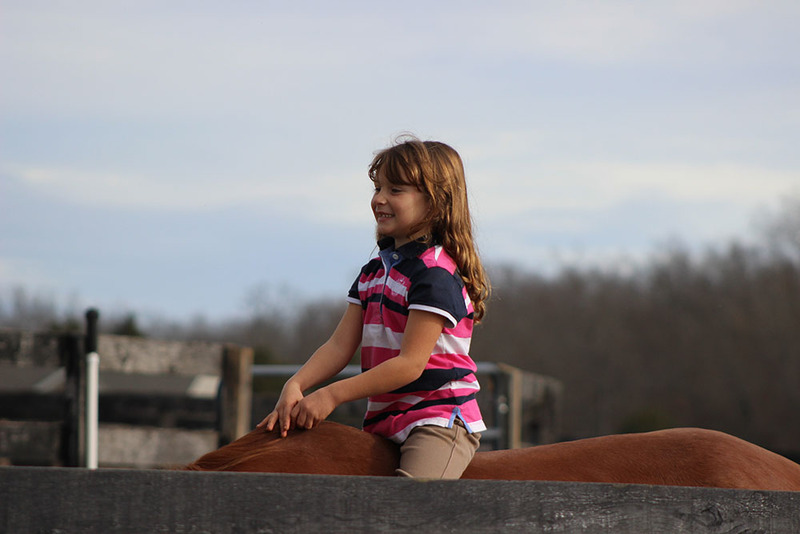 Our daughter has been riding for 13 years… When she came back from Jim's clinic she told us that she had learned more in a couple of hours with Jim than she had in the past year at her previous farm. 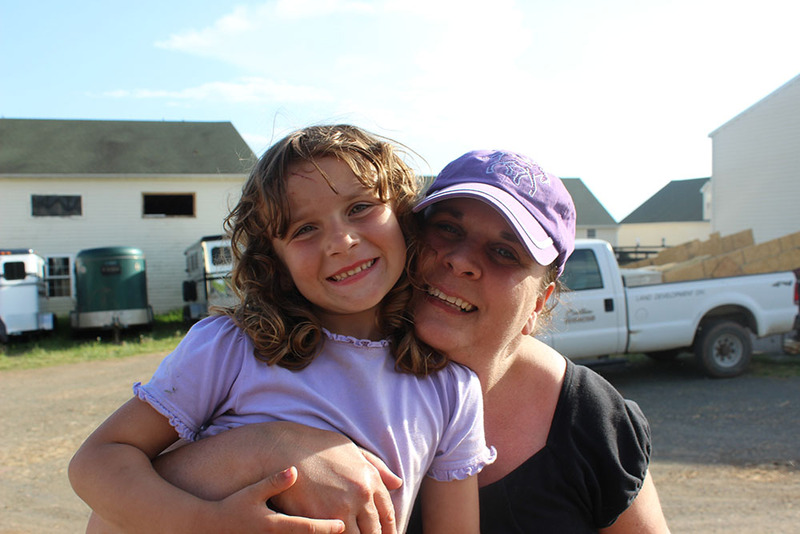 Our daughter is proud to be a part of the Prestige Training family ever since. She has advanced significantly under Jim's training. 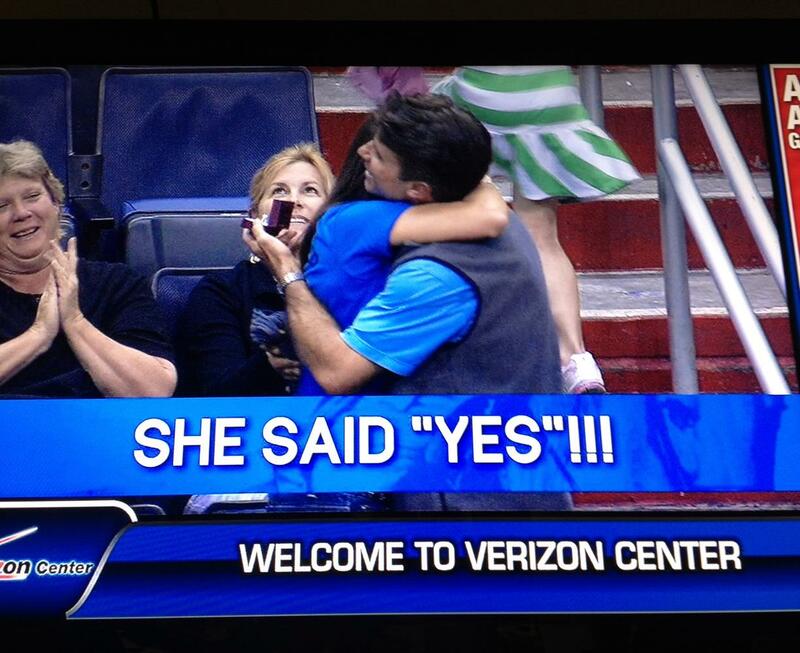 As a parent we could not be more thrilled for her. It is comforting to know that her trainer is not only trustworthy and kind but also excellent and extremely experienced as a trainer and teacher! 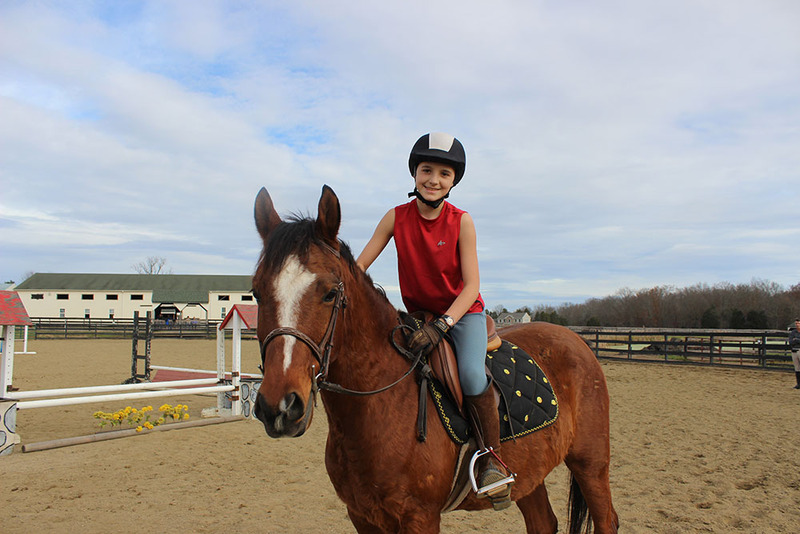 Jim's thoroughness and attention to detail along with his sincere and caring personality, coupled with his extensive riding knowledge and experiences truly put him in the top of his class. I offer my highest recommendation for Prestige Training. 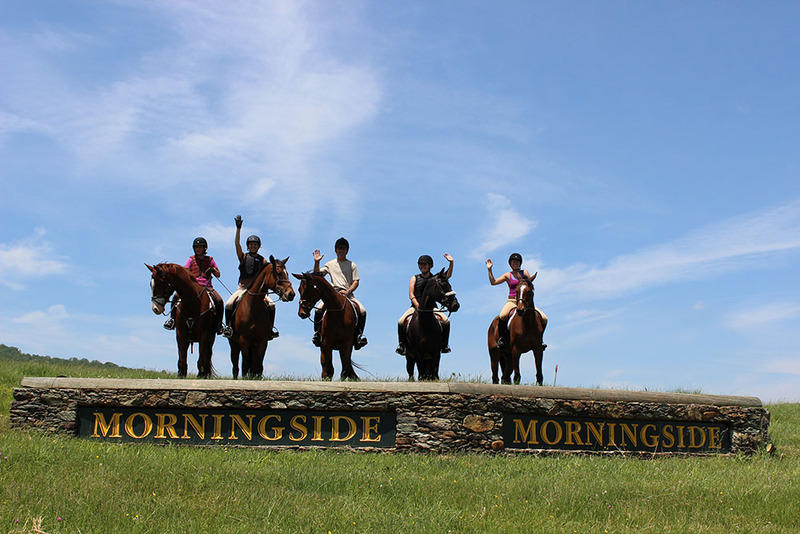 My two daughters have been riding with Jim Moore, of Prestige Training, for three years now. 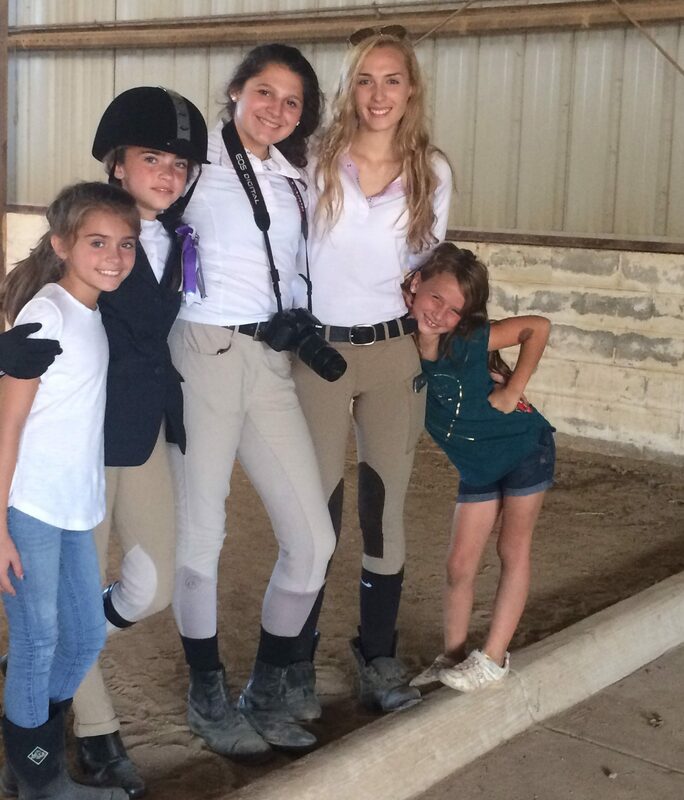 Jim is an amazing trainer and my daughters have grown incredibly in all aspects of horsemanship, under his guidance. They have been taught so much more beyond how to be beautiful riders. He teaches them the importance of respecting their mounts, and how to listen and watch for subtle things the horses might be telling them. He teaches them the physics of horseback riding so they better understand how a horse moves and how they can best move with the horse. And as a true competitor himself, he teaches them how to compete to win and how to be gracious when others take the prize. We are so thankful for the opportunity our girls have to train with Jim Moore. He is a true gentleman, a first class equestrian, and an outstanding role model. During June of 2015 my dreams of riding became reality; Jim offered a free riding event for Mother's day. Shortly after this event, I was accepted as a student. Jim is like the favorite uncle that everyone adores, but he isn't actually my uncle! In just over a year he has taught me how to care for horses, ride, jump and enjoy these incredible animals. He is a brilliant and patient coach, always ready and capable of answering horse riding questions. He always answers my random text before and after class. His ability to explain riding is incredible. For whatever reason he doesn't seem phased by my hint of stubbornness. I'm so appreciative of his style of teaching and I can't imagine training any other place. Being allowed to compete against other schools wasn't even on radar for me during my first year of riding. Winning my first blue ribbon was so exciting. Jim's knowledge of horses is mind blowing. When I ride I feel like I am one with the horse. Jim has introduced me to unexplainable joy and I'm grateful that God allowed my family and I to cross paths with Jim Moore. 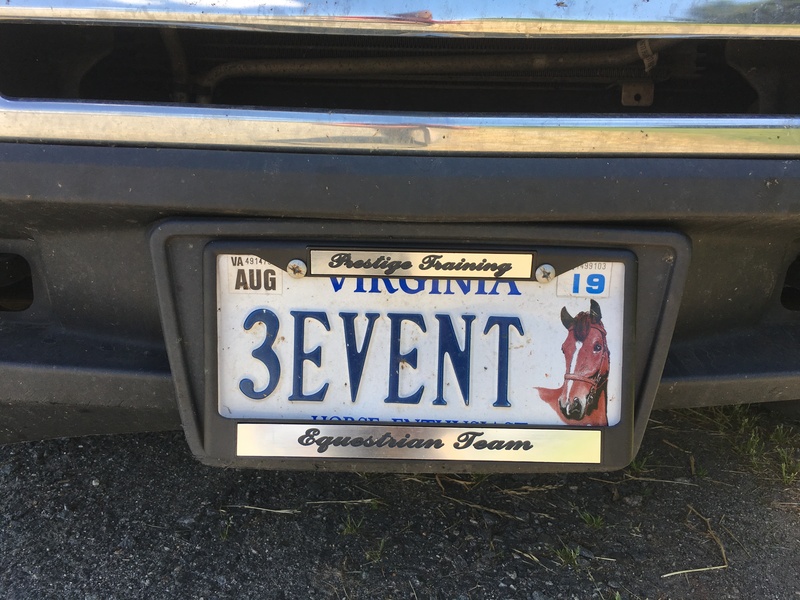 I moved to Virginia in 2015 and was lucky enough to come across Prestige Training after doing some research on horse facilities in my area. 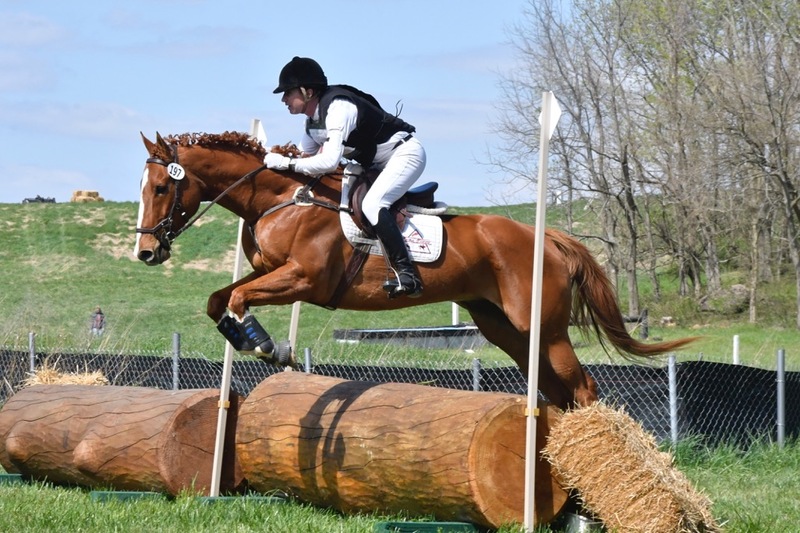 My horse and I had only done hunter shows in the past, but under Jim’s tutelage the two of us had an easy time transitioning to the eventing world. Jim has a knack for explaining foreign concepts and is fantastic at making his students feel at ease in any situation. He has endless amounts of training tricks and techniques to offer his students in order to help them grow in the sport. Riding with Prestige Training has been a fantastic experience that I am delighted to continue. I had been riding for just a couple years before I started riding with Jim, and I had fallen in love with horses and the sport itself. But taking lessons with Jim taught me more about horsemanship then I thought there was to know. He not only made me a much better rider, he taught me how to connect and form a bond with the horse I was riding. Riding quickly became an outlet for me. It has still been an activity I was engrossed in before, but now it had become therapeutic. Jim helped me push past my fear and anxieties and always reminded me "no pain no gain." I always felt safe and secure riding with him, but simultaneously felt that I was expanding my comfort zone. When I was ready to be on the riding team, he helped me progress even more. Jim held the team together and always somehow always knew how to handle whatever the team had to face. Riding with Jim taught me things that I've applied to my life outside the barn, and I'm forever grateful to have gotten the chance to ride with him for such a long time because I can truly say that it has bettered me as a person. Prestige Training is by far the most family focused, accommodating, flexible training programs I've ever been in. 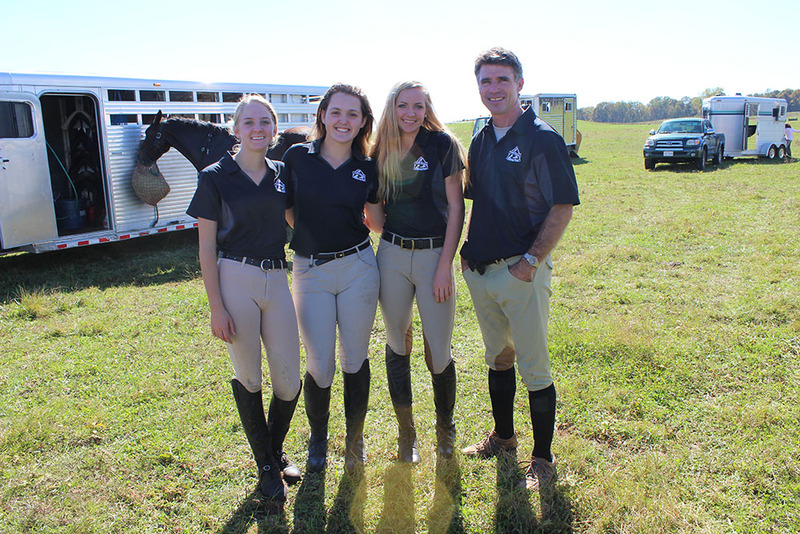 The whole barn is a family, and Jim, the main instructor is amazing! My horses and I improved in our dressage and show jumping tremendously since working with him. He can teach anyone or horse at any level and give exercises to improve everything. Prestige Training is an amazing program with incredible instruction, support, and education. I have been riding with Jim since around the age of 13. His lessons have taught me so much not only about the proper way to look and ride but also about the teaching and training of horses. I have become a much stronger and experienced rider because he pushes his students to be the best they can be. 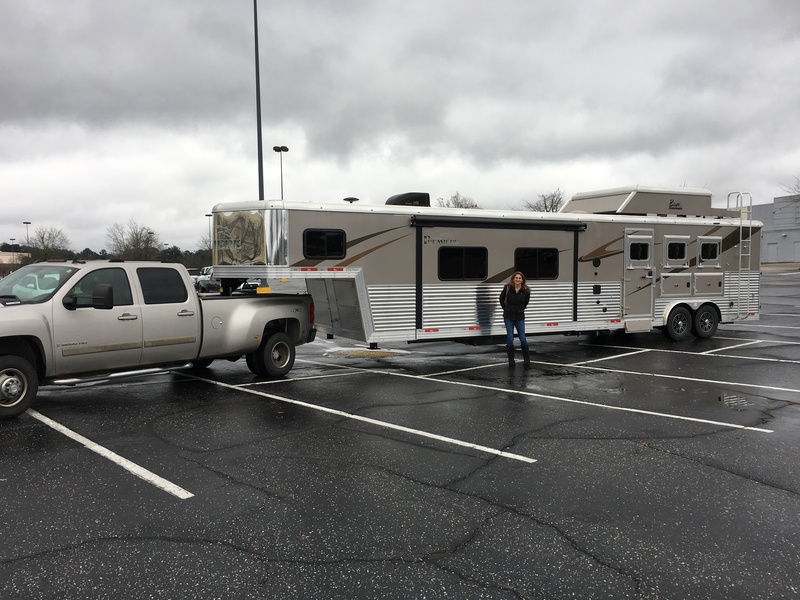 He has gone above and beyond on numerous occasions not only helping as a riding instructor, but also helping training my horse and assisting with purchases of new horses. Jim has a calm demeanor around people and animals and is always positive and encouraging. I started to take lessons from Jim a little over a year ago when he came to the barn I was currently riding at. I would take weekly lessons from him on a variety of horses. 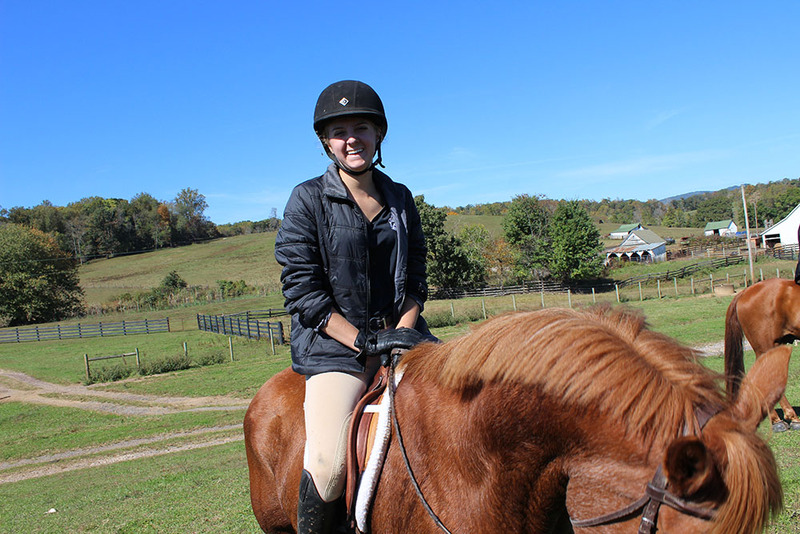 When the equitation season came around I decided to join the team and started to show a little more regularly. Having the chance to learn to change my riding based on different horses was one of the many benefits of training with Jim for equitation. I do truly love Prestige Training and I hope to stay for awhile. Next year I am planning on starting my eventing career with Jim and I'm sure he will teach me more and more, every lesson on how to improve and become the rider I wish to be. Thanks Prestige Training and Jim for being with me this past year! 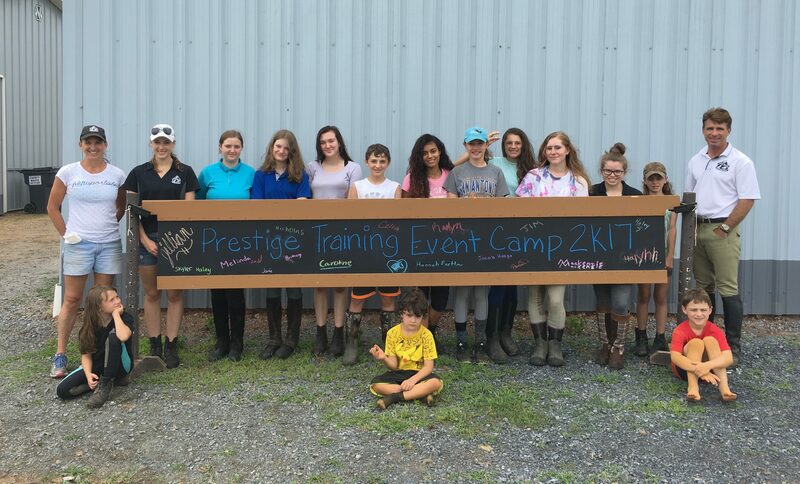 Prestige Training provided us with an amazing experience. My daughter was a brand new rider when we started with Prestige. Jim Moore was a very patient, understanding, and challenging trainer. 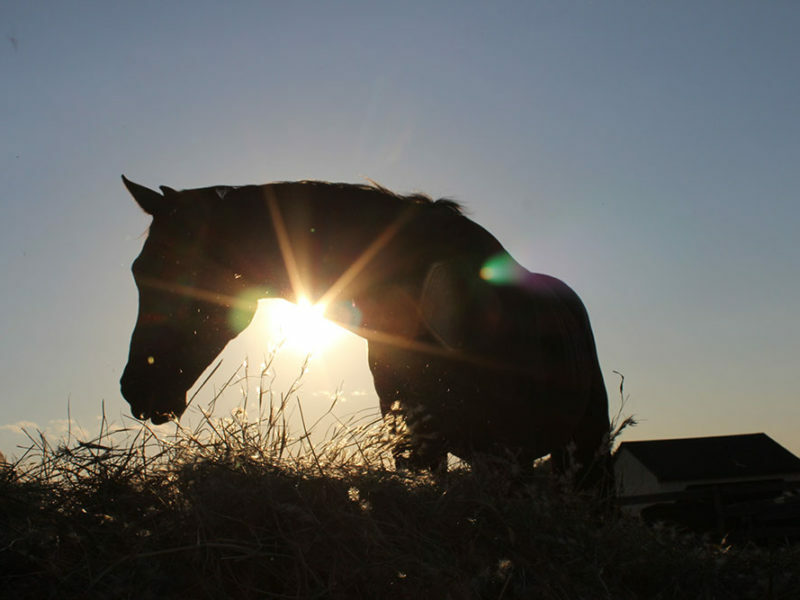 He not only taught us how to care for a horse, but the history behind the things you do with a horse. We learned something new every lesson. 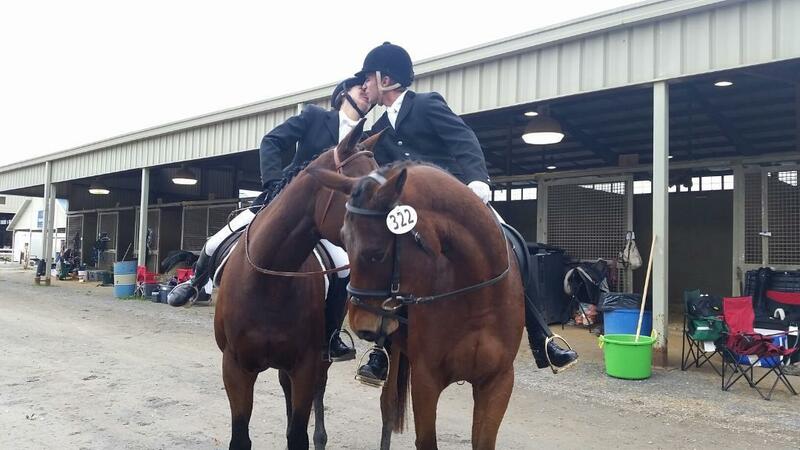 My daughter went from not knowing how to tack a horse to competing on an AIRC team in one year. I credit that to Prestige Training. Thank you for a great experience! 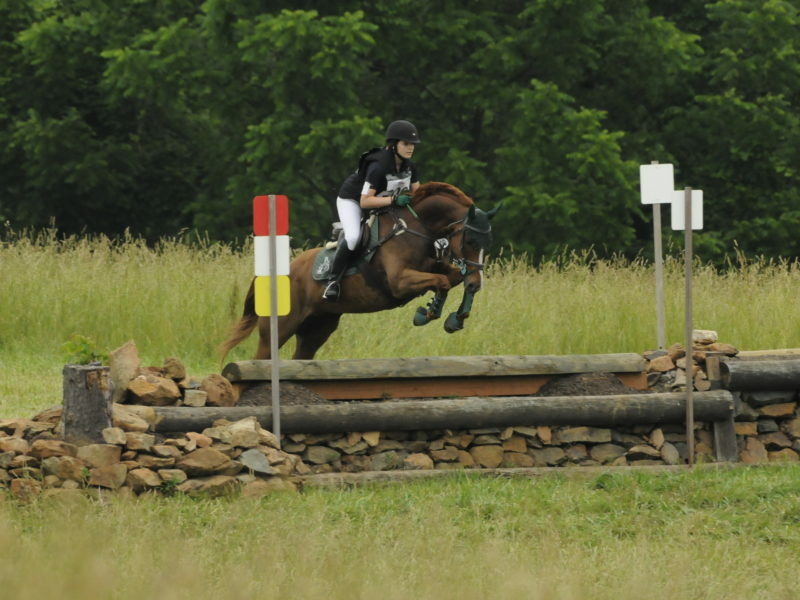 Jim took me from barely being able to jump a cross rail to competing beginner novice at horse trials in just under a year. He has helped me become such a better rider and I can't wait to keep learning more from him! Prestige Training is an amazing program that teaches you not only how to ride and take care of a horse but the reasoning behind each lesson. Jim Moore is not your "one size fits all" trainer. 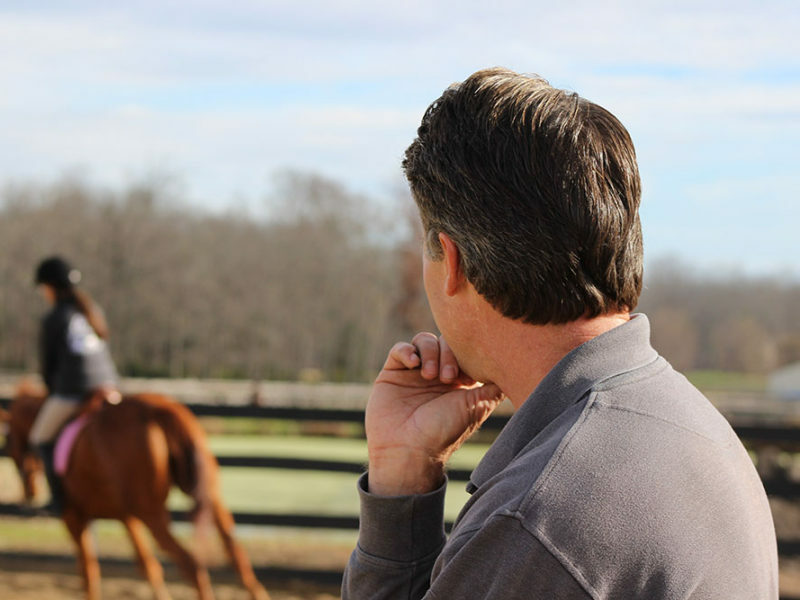 He trains each horse and rider where they are at and determines the best way to advance both horse and rider. 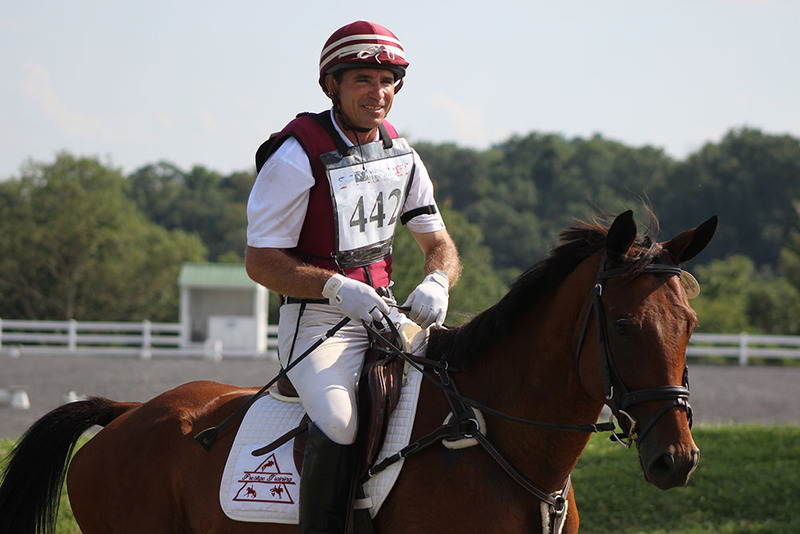 He is extremely knowledgable in the world of Eventing and my son's riding has benefited from that knowledge. Jim doesn't just instruct the rider on the mechanics of riding but also explains the "why". 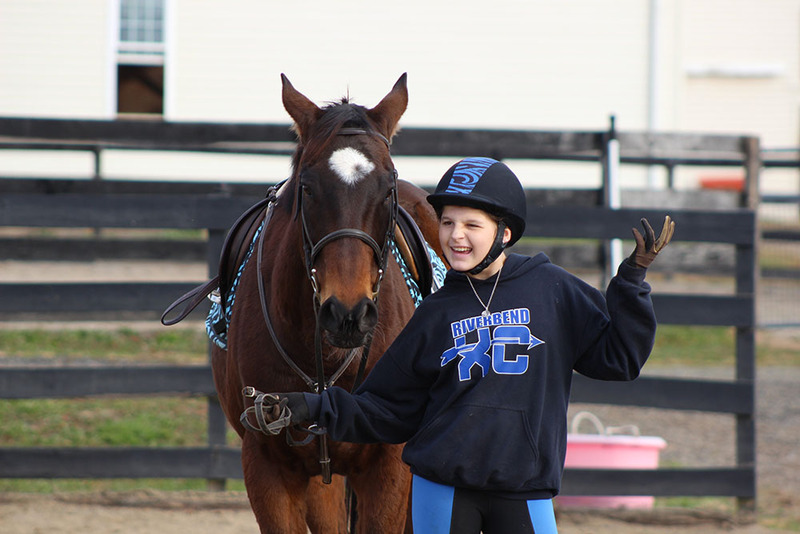 His "A" graduate Pony Club background shines through in every aspect of his training and care for both horse and rider. I've been riding with Jim for several years now and have nothing but wonderful memories. 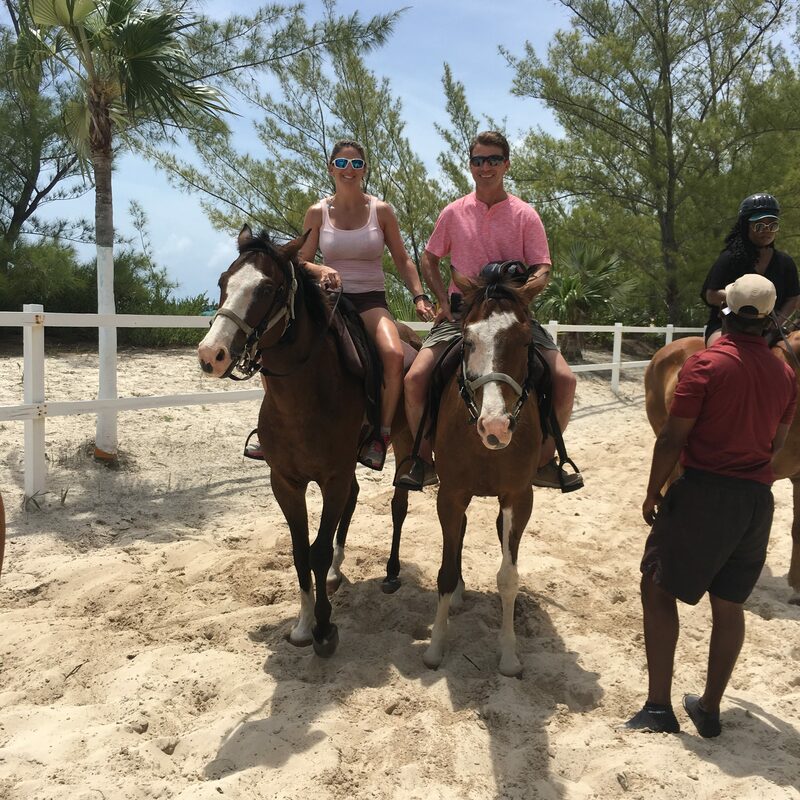 Not only has he significantly improved my riding skills, he continues to teach all riders the connection between horse and rider in the basics of horse training. I as a rider am constantly learning new things, while loads of information spill out of his mouth every time we meet, whether it be on horseback or just face to face. Jim has excelled in several different disciplines, allowing him to pass along loads of tips and techniques to us all. Jim Moore is a professional coach/trainer and anyone who has the opportunity to ride or train with him is beyond fortunate! Before I met Jim I had been through many trainers and rode push button horses. When I had my first lesson with Jim I knew that he would be a good trainer for me and what I wanted to do in the future. I have been with Jim ever since he moved to Virginia. Throughout the years that I've been with Jim he breaks things down so we can understand what we're doing and why. He also taught me how to deal with the more difficult horses and why they were acting up. Jim has not only thought me how to ride but also my two sisters. Jim really takes them under his arm when they're scared or nervous. The whole Partlow family couldn't thank Jim enough for all he has done. I took lessons with Jim for a couple months, and every lesson he taught me soooooo much! i.e: he taught me how to sit straight and push with my legs to move forward more instead of just using my hands and leaning forward. Also, he taught me how to put a horse on the bridle. 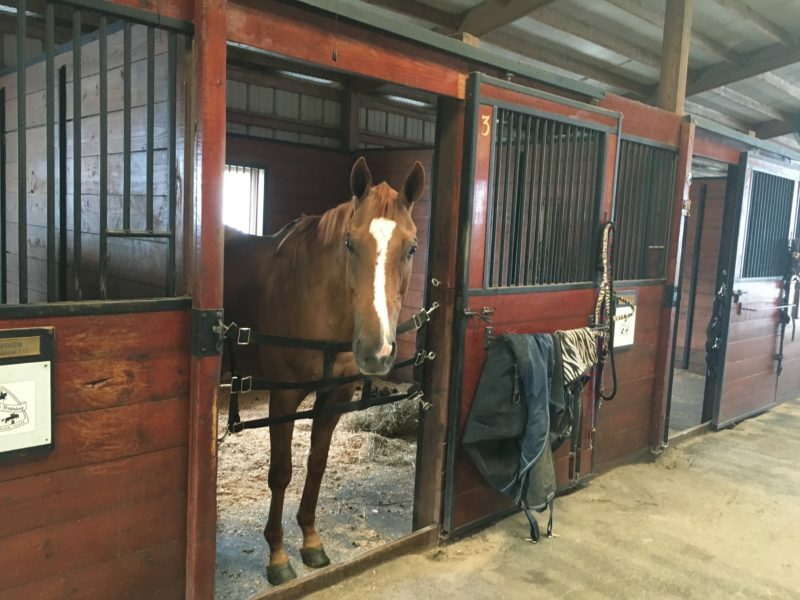 He has amazing horses to learn and improve on! I wish I could have been on the Prestige Training AIRC Team, because that would have been so much fun to have Jim as my team coach! 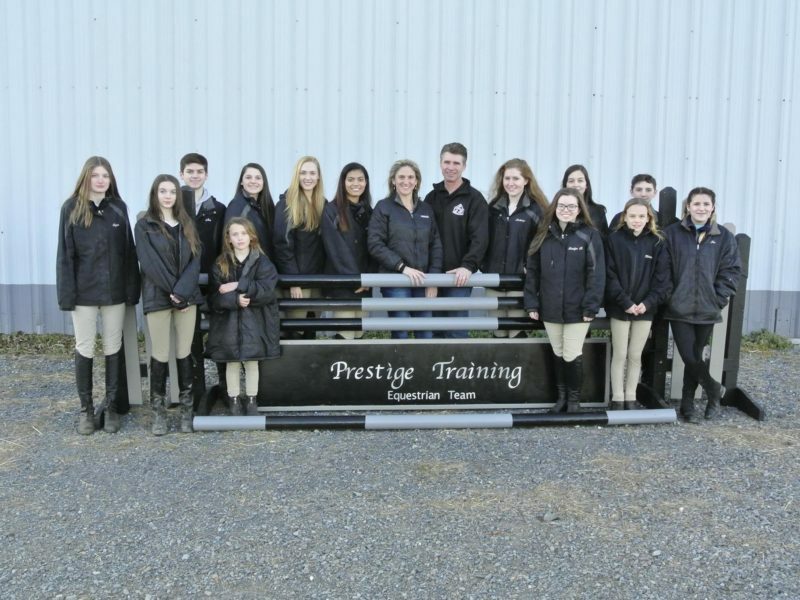 Prestige Training is an amazing group of riders, horses, but most of all, the best trainer anyone could ask for! Click on each gallery to view further information and more images, and get a feel for the environment and amenities here! © 2017 Prestige Training LLC. All rights reserved.